Just a few days after I posted this post about the apparent end of strip joints in Houston, Neon Poisoning posted this amazing image. Cool! This is a matchbook cover uploaded by terr-bo. I have no idea what the vintage is, but obviously it's old. 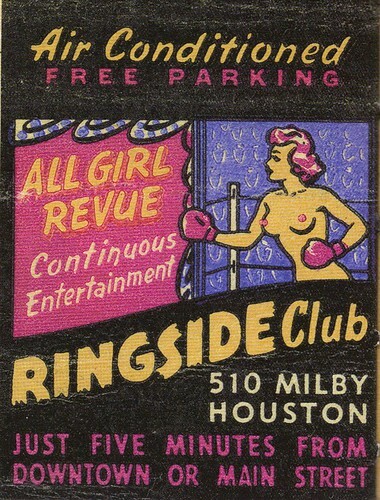 If Houston is successful in shutting down all the strip clubs, it will be the end of a long tradition in this town, evidently.